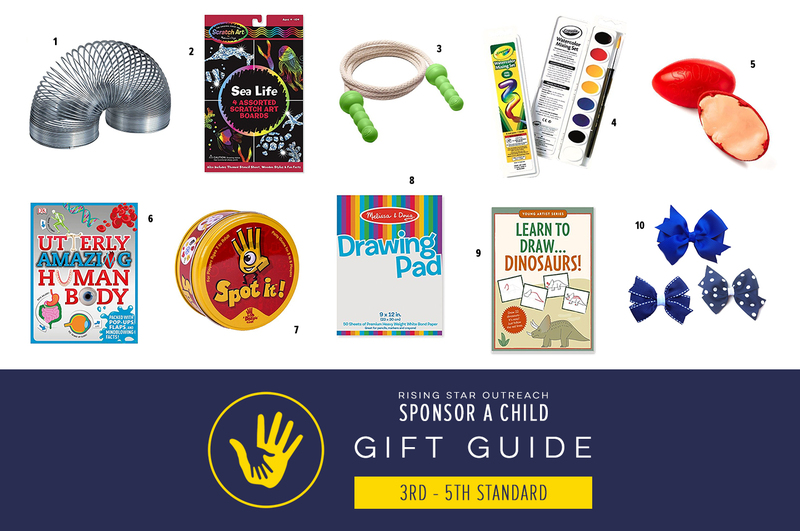 Sending gifts can be a fun and exciting way to connect with your sponsored child. However, sometimes it can be hard to know what to send, especially to someone who lives halfway around the world! To help out, we’ve come up with a list of ideas for students of all ages! This month, we’ve posted ideas for students in 3rd – 5th Standard (8-11 years old). Be on the look-out for future posts with ideas for older kids! You can use these specific gifts or use them as a starting point to come up with ideas of you own! If you have ideas, feel free to share below!